Here is what I have done so far. Its in beta stage. Maybe a alternative (but slower than the trickjump) route to Red for us non-trickers and newcomers? A ledge on the left or a very slow elevator? Also, Red seems "easy" to defend if you got Red+RL and camp inside Ring area and peek out taking out anyone trying to jump up to red or in to Ring-area (but could be wrong). Agree with all Baresi's comments btw. Good point, I will change ring tele to pent roof and RL tele to ring. So Red is able to jump from pentroof to rl and Ya RL area is able to flood ring. ceiling height seems 16 units too low here. might be intentional to create an intentional choke on the map? don't understand the lifts in pent room. maybe if it's water it would make more sense so you could actually activate them without burning your entire stack. i think with latency people will just rip every time. maybe im missing something i dont play 4v4. might actually be a feature of the map that everyone will enjoy. i'm not a big fan of it though since there is only one entrance as far as i can tell unless theres a secret button or tele destination. 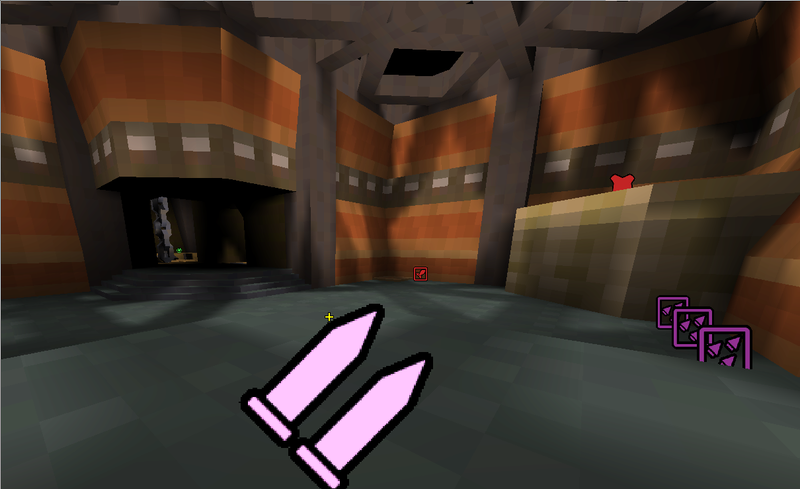 maybe consider a high entrance to this room that is facing the Red Armor Powerup. again though unless play-tested this might work so dont hop to changing it unless you wanna just try it out and see how it feels. The mega being so close to RA seems really suspicious to me but i'm no item placement god so you might have an idea built around it that i don't understand. Quad room feels too big / open and rocket launcher shots will probably feel terrible. 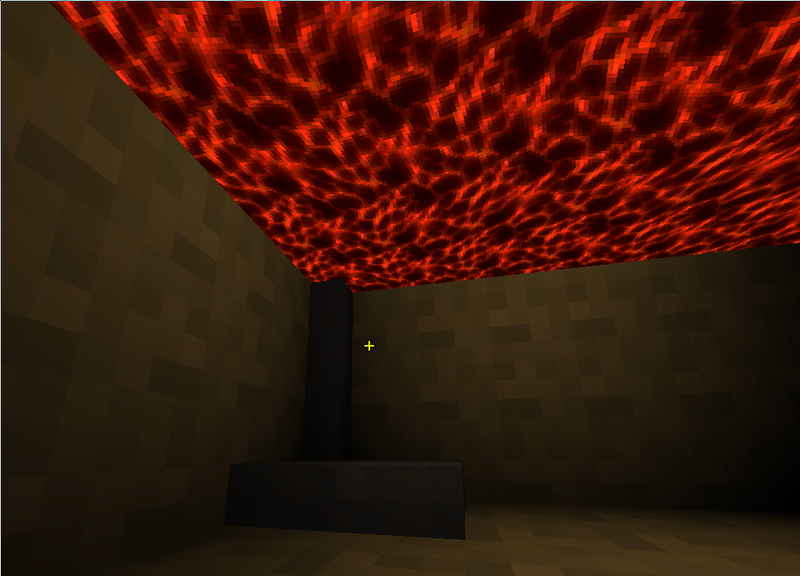 I think players might also find the Quad room to be a bit annoying to play because of all of the lava (i'm biased though because lava has never worked in my maps and i don't think i've ever really liked lava in any map including dm2/dm4 because i feel like you're punished randomly sometimes) Pent area has a similar problem but at least it's broken up by more limited paths / objects that break up the line of sight. the rocket launcher room sort of feels like that but it's definitely the best of the three rooms that have the issue. YA room is my favorite room on the map followed by the whole hallway that connects YA to GL. Good job man i'll keep checking your progress and throwing out my thoughts. I really like the strutted ceilings that cast nice shadows onto the ground. It's similar to DM2 but somehow the shadows aren't as blocky as DM2's shadows. The rocky texture in Quad and RL area is awful. All natural textures like rock or grass should be removed from Quake maps because the tiling/repeating is way too obvious. But perhaps you plan on creating your own textures eventually?. I also find the fake doors a little frustrating because I never know if a door is fake or if I'm supposed to hit a trigger to open it. All doors in pent room are only able to open when pent is taken for 30s. After that the shortcuts will close again. Other doors working normal. As said above I wanna play some matches to get a feedback on item placement. After that i will think about the Quad Area again. Revisited the Quad Area, hopefully I get beta 2 done until next weekend. 1) Map is a good size overall, but some areas are a bit empty (rocket water) and some are a bit cramped. It feels a bit brutal when you're out of control, but generally worked well. 2) The hidden mega is a bit too well hidden Though once everyone knew about it it was fine. 3) The red armor trick jump... I know it's not a difficult slide, but it is frustrating to know you've only got one shot at it, red armor is just sitting there and then you miss it. We resorted to boomsticking teammates to help them across. Maybe make a E1M2-style multi-jump alternative way to get there? Feels overly punishing of mistakes right now. 4) The rocket room needs to be a bit more accessible, right now there's a single choke point at YA, and the alternative to get there (unless doors are open) is going via tele @ red, so if the other team has both armors covered then you're in trouble. Also, maybe a spawn point under the high entrance? 5) The YA corridor felt a little cramped when there's quite a lot of action over there as people try to push past yellow to get RL. This would probably fix itself if 4) was fixed. 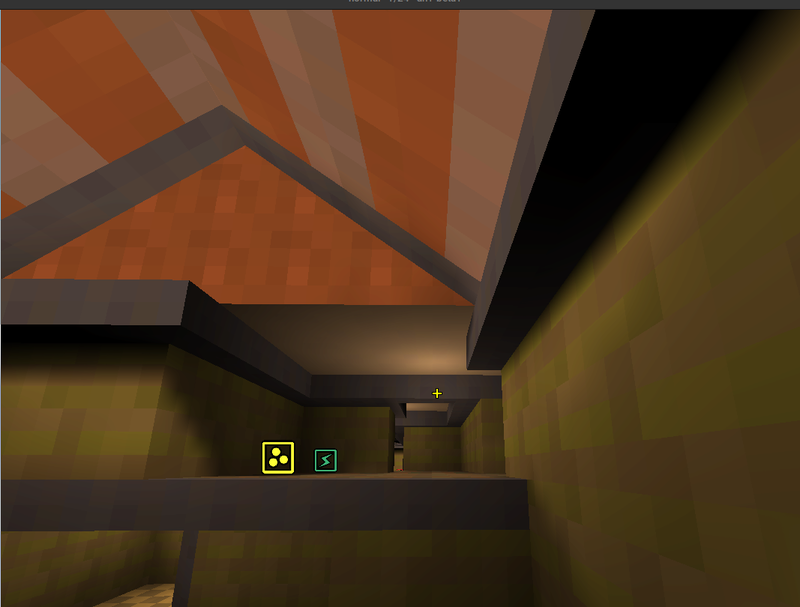 Maybe move yellow to middle of corridor (opposite the teleporter), away from the chokepoint and make it easier to steal? 6) Random thought: have you considered switching the pent & quads round? It would make the team in control of yellow corridor have to move back to the center of the map. 7) Pretty severe FPS drops when facing middle of map... unfortunately doors don't block vis even when closed, so the doors at pent area makes most of the map 'visible'. Overall I enjoyed the games, even though I was mostly lost and only one teammate had .loc files... we should try to have more games on it before you do anything drastic. First of all, ty for posting some thoughts! - Made the RL Area a lot smaller and moved the teleport into water. Is it the visibility that gives FPS drops then? If visibility was cut by a wall - would that improve FPS? - So blocking the viewpoint of a door - (perhaps moving it up or down a ledge?) would improve FPS? (could we somehow still see a door being open or closed without having to go to this ledge? a big huge sign/button - "door open"
@ocoini The only chance to get FPS higher I see, is to reduce brushes. - Major changes but this would be the version I would prefer!